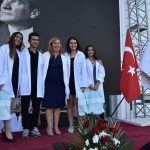 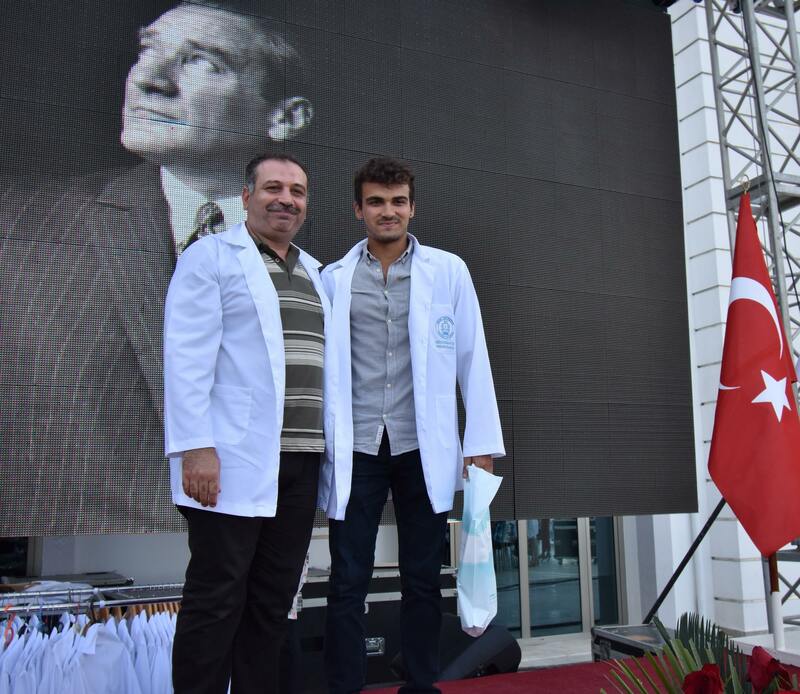 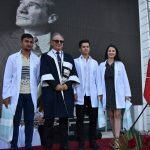 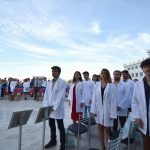 University of Kyrenia Faculty of Health Sciences Physiotherapy and Rehabilitation Nursing, Nutrition and Dietetics, Physiotherapy and Rehabilitation program students’ White Coat Ceremony took place on the 3rd of October on campus. 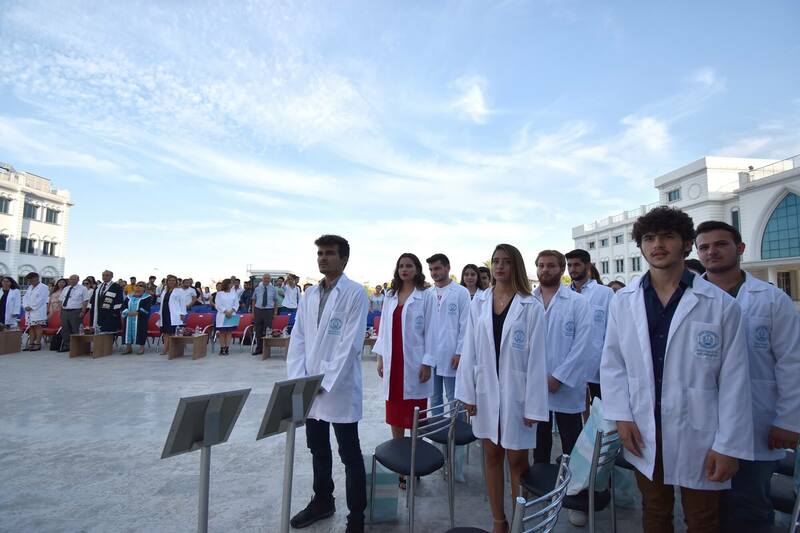 During the ceremony students that joined the University of Kyrenia for the 2018-2019 academic year were excited to take a new step in their lives. 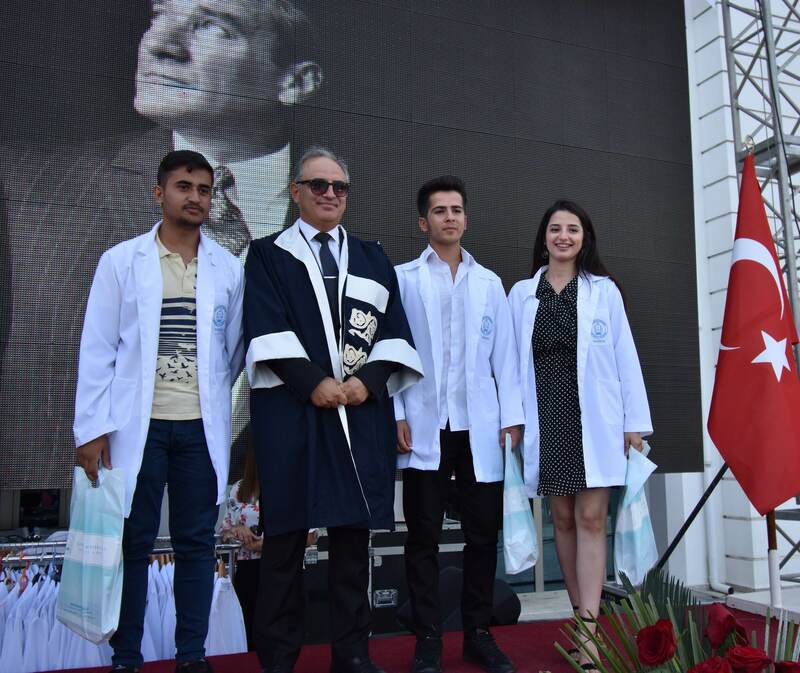 The Vice Dean and Dean of the Faculty of Medicine Prof. Rüveyde Bundak MD., Vice Rector Prof. Gökmen Dağlı MD., Dean of the Faculty of Health Sciences Prof. Samiye Mete MD., the Head of Physiotherapy and Rehabilitation Department Faculty of Health Sciences Assoc. 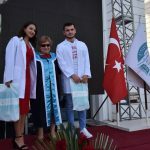 Prof. Özge Çakır MD., Head Nurse of Dr. Suat Günsel University of Kyrenia Hospital Türkan Şahin, Academic member of Nutrition and Dietetics Department Faculty of Health Sciences Asst. 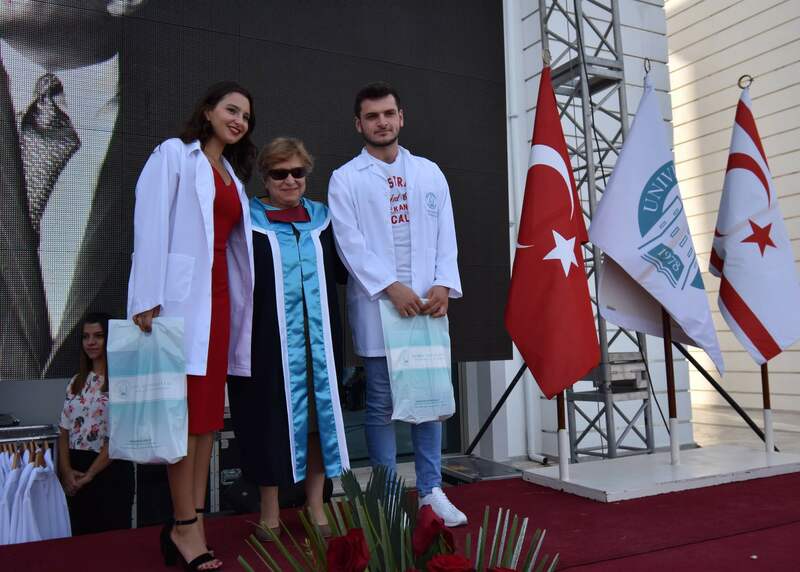 Prof. Şevket Direktör, Prof. Fatma Öz MD., from Near East University Faculty of Nursing Department, academicians and students’ parents supported the students by attending the ceremony on this meaningful day. 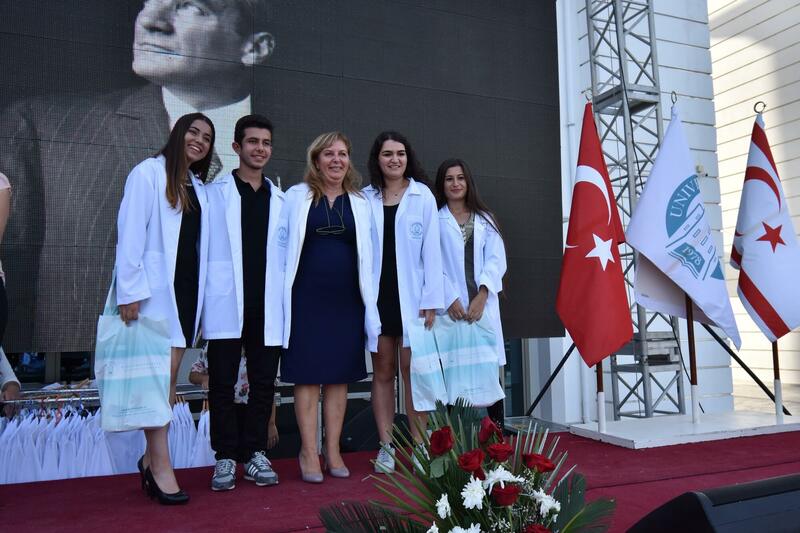 After a minute of silence and the National Anthem, the opening speeches of the ceremony were presented. 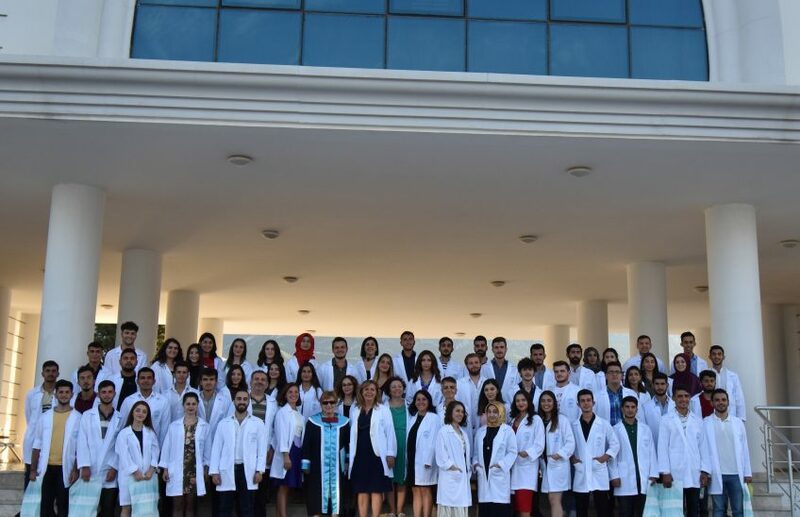 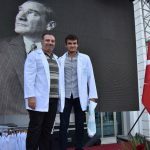 Prof. Samiye Mete MD., and Prof. Rüveyde Bundak MD., wished success to their students for their educational life and also stated that Dr. Suat Günsel University of Kyrenia Hospital is equipped with the latest technology and emphasized the importance of supporting the trainings provided by the experienced academicians. 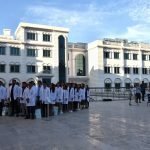 The ceremony started with the opening speeches followed by the white coat ceremony, which then continued with the Faculty of Health Sciences students reciting their oath together. 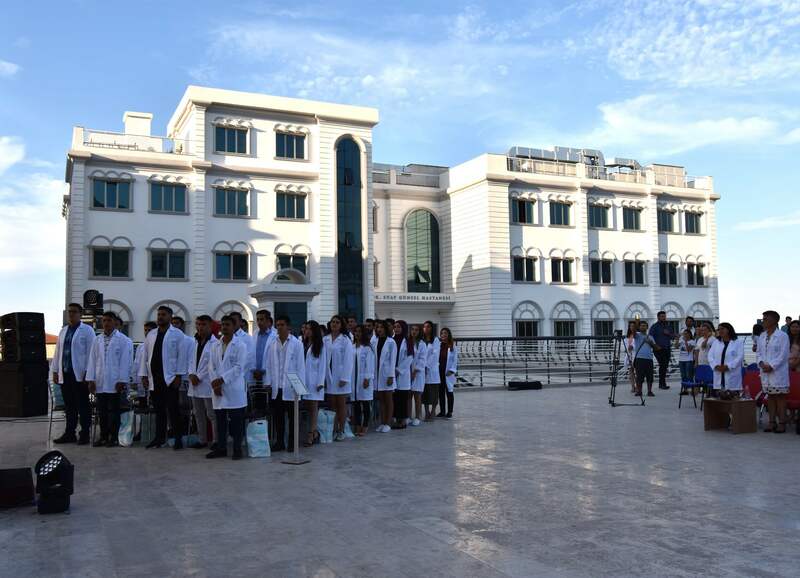 The ceremony full of excitement and emotional moments ended with a photo shoot.